The 2004 La Conseillante has put on weight since I tasted it from barrel. Made in an atypically structured, tight style, the deep ruby/blue-tinged 2004 offers up sweet mulberry, cassis, licorice, and roasted herb aromas as well as flavors. This medium-bodied, moderately tannic effort will benefit from 1-3 years of cellaring, and should keep for 12-15 years. It is somewhat reminiscent of the 1999. This is a very good wine, but the 2005 and 2006 blow it away â€“ qualitatively speaking! Tasted at Bordeaux Index annual 10-year on tasting from an ex-château bottle. 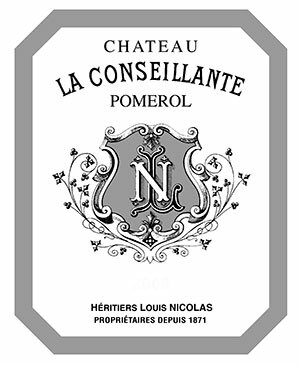 The La Conseillante 2004 showed better at the Bordeaux Index than the Farr. The latter came across as rather straightforward and blowsy, though the former definitely shows more precision on the nose with impressive mineralité coming through with aeration. There is a playfulness here, a sense of joie-de-vivre. The palate is medium-bodied with firm, slightly dry tannins. The acidity is well judged with a gentle build towards a gently grippy, truffle and allspice tinged finish. Very fine. Tasted March 2014.